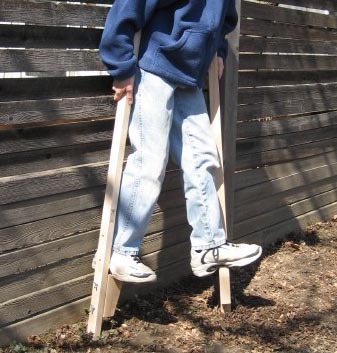 Beka Traditional Wooden Maple Stilts: Regular, 47.5"
* You'll be heads above the crowd with our all natural wood Stilts. 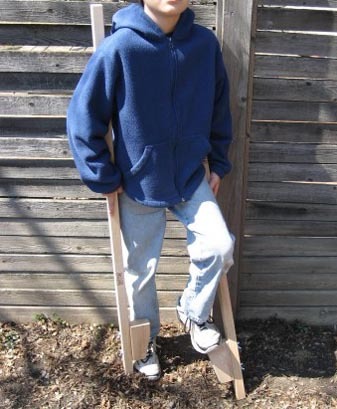 * These eco-friendly stilts are just like your favorite uncle used to make!. * We make them using regional hardwoods, like maple and beech. * The uprights are available in two heights - 47-1/2" (BEK-08804) or 57-1/2" tall (BEK-08805). the footrests adjust from 5-1/2" to 14-1/2". the bottom position provides an extra large base for better balance. * Stilt walking hints are included.